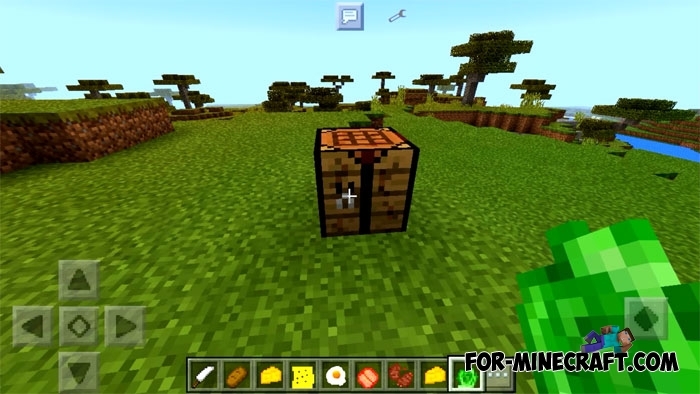 This is the second food mod for MCPE that adds 10 food products and cooking appliances. 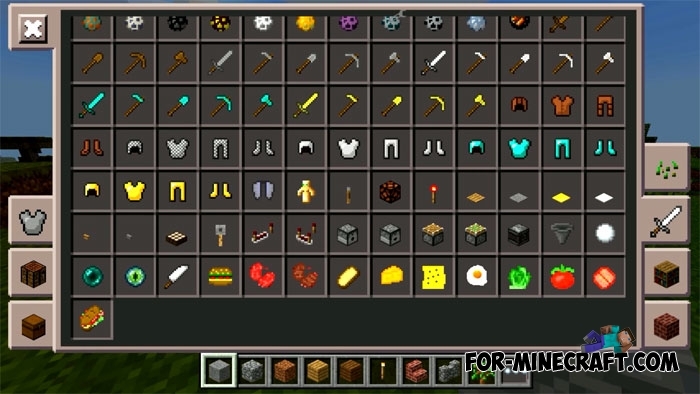 The Ultimate Foods mod is in beta development stage and its creator adds new food and tools, but if you want to get even more food (more than 200 kinds) then install the Den's Tasty mod. Let's move on to the most important one and list the available food. Make food as you cook it in real life. Many dishes are prepared using the recipes (see below) and satisfy hunger. The kitchen knife is needed during cooking so craft it at the first opportunity. Also some food should be processed in the furnace at a high temperature. The hamburger can be put on the table as a decoration and then broken down to put in inventory. The following updates will delight players with new food and tools, as well as recipes and other features.